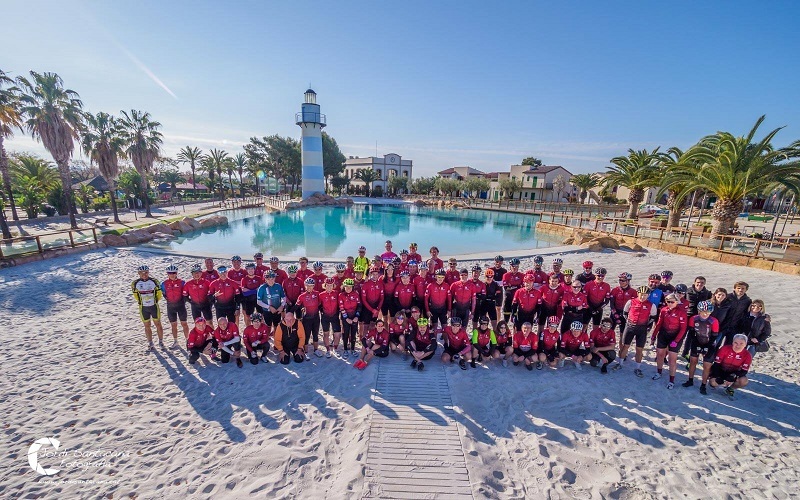 Roberto Heras, 4-time winner of La Vuelta España (Tour of Spain) and of 4 editions of the tough Titan Desert, has been the ambassador of the fifth edition of Melcior Mauri Costa Daurada Camp at Cambrils Park Sport Village. Roberto Heras marked an era in Spanish Cycling. His career as a professional cyclist was unintentionally short but intense; he won four times La Vuelta a España, becoming the cyclist who has won it more times. A record he still holds despite the existence of Alberto Contador and his amazing track record. 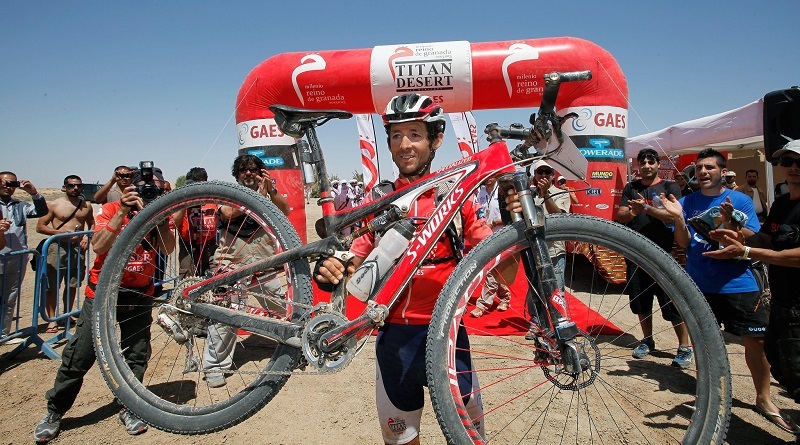 After that, he won 4 editions of the Titan Desert riding a mountain bike (MTB), setting another unbeaten record and demonstrating that no bike can stop him. How is Roberto Heras currently spending his time? 8 or 10 years ago I started to work on cyclists’ physical training, which takes up almost all my day. The rest of the time, I spend it doing sports, which I love, and being with my daughters and my family. After 14 years, you are the cyclist who has won more Vueltas a España! 4 titles and 7 podiums in a row. How do you deal with that record? I rode La Vuelta a España 9 times, and the truth is that I have always loved it and I felt physically good after the Tour de France. Alberto Contador has 3 and was close to get the 4th. Let’s see if I still hold this record for more years…. And if there is someone who can beat it, then I will be really pleased. What does la Vuelta a España have that you liked it so much? Well, the Giro d’Italia (Tour of Italy) I did it once and I loved it. And I think that the Tour de France is the best race, because there is a lot of stress and pression… At the Tour I arrived in good physical conditions, but for different factors and falls I was never where I would have wanted to be, except for the first in 2000, where I reached the 5th position. La Vuelta España was always after the Tour. I trained for 3 or 4 weeks and I was a dab hand at it: I was very confident, I knew almost all mountain passes and I have had really good teams that had helped me a lot in La Vuelta, which is very important. I have also fallen, I have ridden with stitches on my knee, I have been sick, but I don’t know why, I felt very comfortable and I have always known how to deal with it and to lead a team. What differences do you see between cycling during your professional career and now? On my time the earpiece also existed and after 2000 we also trained the strength. But for what I can see and follow, nowadays everything is more focussed. They know how long it can take to go up a mountain pass, the watts each rider can go while climbing, for how long… In other words, the room for improvisation is more limited. Does, the fact that everything is more calculated, make current cycling less spontaneous? No… I think there have been really nice stages, and there still are, where racers not only pay attention to watts, but also to their own sensations. There are moments where, from experience or for your sensations, you don’t care about the watts or the instructions given, because they are moments that depend on seconds. I think that cycling will always be epic despite watts and strength. Physical preparation has improved a lot, but epic and show in cycling will never vanish. Which is the toughest race you have ever done? For its slopes and mountain passes the most demanding one is the Giro. However, to me, the Tour de France is the most demanding race of all because they are 3 stressful weeks until you arrive to Paris. It is the one that pushes you to the limit at a competitive level, at a tour level it is as demanding as the Giro, but the speed at the Tour is higher. The flat stages in France are very hard, not in the physical sense but in the mental. Even though on television might look like they are relaxed, they are stressful 200 km stages and that is what I found the hardest. The first 10 days of the tour to me were the worst and the ones that mentally exhausted me the most. Were the toughest training sessions of your career the ones you did with Lance Armstrong at the US Postal Service? How were them and what made that time so special for you? What Lance Armstrong used to do was to prepare himself for the Tour. We would go for 15 days to the Alps to check each stage. 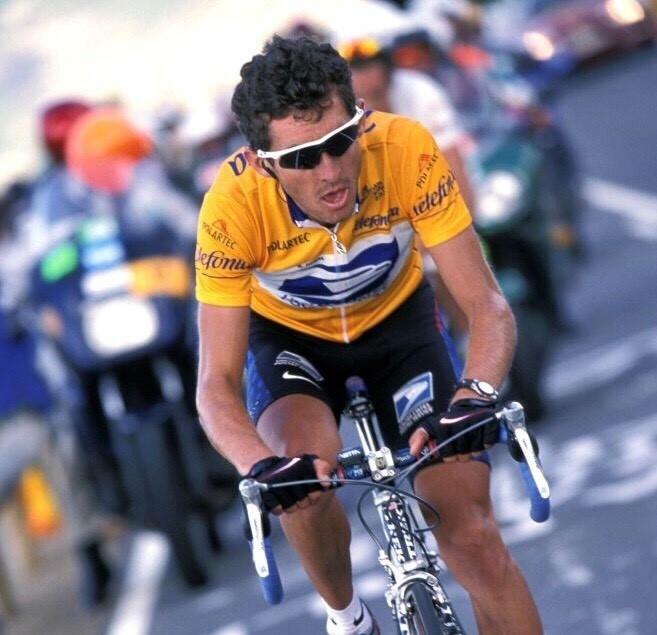 I remember lots of consecutive days training for 7 and 8 hours because you would do the entire stage. I enjoyed going to check the stages of the Tour, because it was in May, everything was nice, and we would go all the team mates…. The Tour was prepared with great care, because it was not about the last mountain pass but about the 8 mates knowing what was ahead to take a leader. Were the environment and the level at the Kelme team, during your time, something unique? Why? I have been in other teams that had the same level, but Kelme was like a family. It was a small team, but big. It didn’t have the budget that other teams had, but at a riders’ level… We won the team trials of the Tour du France, the 2000 Vuelta…. It was a nice time; besides it is the team where I spent more years and I remember it as a big family, not only as a professional team. Somehow, you were the guide for Alberto Contador on his first Tour de France in 2015, which he later won in 2007 and 2009. What pieces of advice are given to a cyclist who is taking part in the Tour for the first time? Advices are not given too many, because during competition you can see it day-to-day. If you are asked, for example, ¿how to ride in flat sages? you can say try not doing this or that…. But not too much because you see it and, in the end, the best way to learn is by living it. At the Tour, everyday is a learning. Did you predict at that time that Alberto Contador was going to be one of the greatest exponents in Spanish cycling? Back then, Manolo Saiz, used to put a young cyclist in the same room as a veteran, and I was with Alberto a lot of times. Both, he and Luis León Sanchez, you could see that had good skills. But, obviously, Alberto was only 20 years old! I couldn’t predict that he would become what he has proved to be, but we could see that both were really skilled. And now that this generation is almost over. What young cyclist do you see as the future Alberto Contador or Alejandro Valverde? 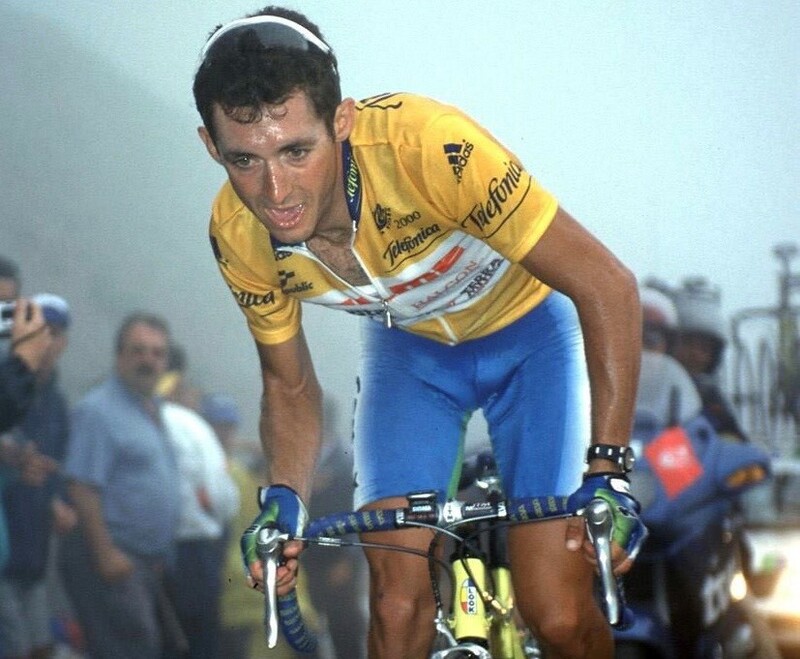 Uf… to replace Alberto Contador and Alejandro Valverde is very difficult, it is like when Miguel Indurain left. If you look at their track record, like the 123 races won by Alejandro… then it is very complicated to try to compare with the generation that is following them. But there is a rider that I like a lot, Mikel Landa, who is extraordinarily skilled, and I think that represents the current Spanish cycling. There is also Marc Soler… and other riders, but I think that Mikel Landa is the most immediate replacement. Road bicycle racer expert and, after having won 4 editions of the Titan Desert, also a mountain bike expert. What hooks you the most of each one of the disciplines? I like mountain biking because at a technical level is fun. It is a different feeling from road cycling, it is more dynamic, specially if you have some technical knowledge. In the mountain, the problem is that one needs to learn. When I went from road to mountain, I had a long period of learning about slopes, technical descents, etc. I have spent very nice years, travelling a lot, sharing… I have enjoyed the stage lived with mountain biking. Besides, I love the desert, is a really nice experience. What can I say about the Titan Desert! The organization was also like a family to me and the desert has won my heart… I have unforgettable memories about that race, the landscape, the atmosphere, the tents… everything. We all know the events that interrupted your professional career after la Vuelta a España in 2005. Also, that authorities recognized, years later, that everything was a serious chain of errors. Have you been able to make peace with that past that has marked your life? They were hard moments, but one tries to turn the page and that’s it. Life goes on and you must prioritize your family, friends and life itself. To me this has already been forgotten, life continues. Those 4 victories at the Titan Desert, at some extend, were a way to recover your honour as a professional athlete? I did it because I liked it and because, in the end, life is about the experience that remain. Titan Desert have all been amazing experiences. Unfortunately, there are still deaths among cyclist on the roads due to accidents. In your opinion, how can we put an end to this scourge? The last law passed is very positive for us, but the danger is real. There are lots of distractions, alcohol, etc. We are exposed to a real danger and, let us not fool ourselves, I am afraid when I ride on the road… One must be cautious and respect everyone. 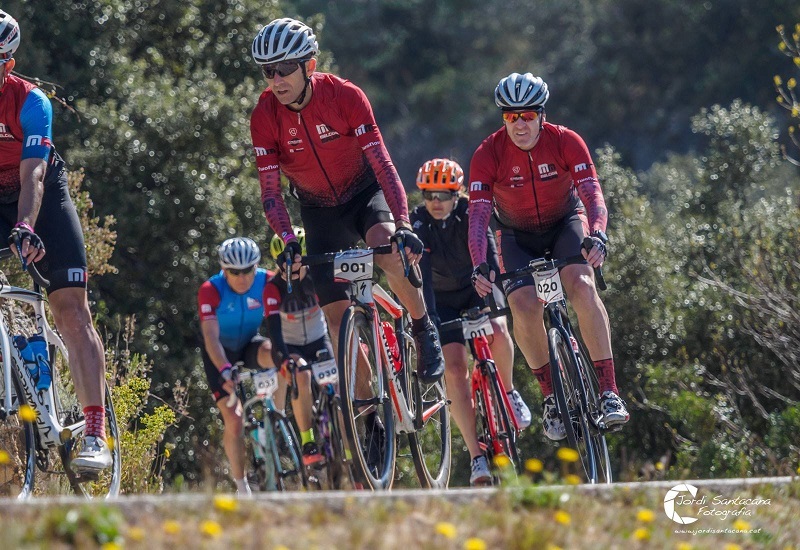 You are hosting the fifth edition of the Melcior Mauri Camp, following in the footsteps of great cyclist such as Miguel Indurain or Abraham Olano. 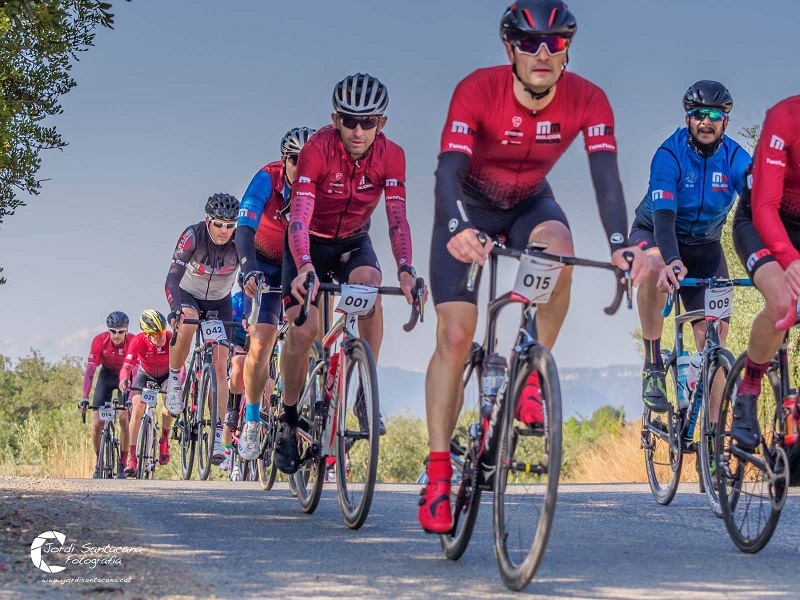 Do you enjoy this type of events where you meet with amateur cyclist who admire you and want to ride by your side?